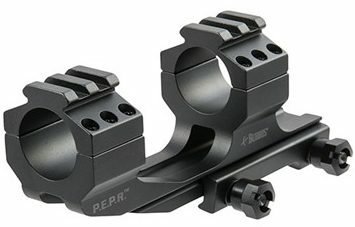 Scope mounting can seem like a huge undertaking. After all the painstaking research on calibers, shooting platforms and optics…you want to be sure your scope and the bore of your rifle are both pointing at the same target when you head to the range. With a few simple tools and some patience and attention to detail, anyone can mount their scope and do it right. Whether you are mounting a scope using traditional bases and rings on a bolt action rifle or you are using a cantilever one-piece mount for your AR, the basics are the same. Really, it’s a lot easier than it sounds. Watch – I’ll show you! The tools needed are few and simple but it is critical that you have them. While “normal” tools can work, they run a real risk of damaging your optics. Some mounting systems will have slotted screws for the base and rings. Some will have Allen head screws, some will have Torx head screws and some will have large nuts that require a socket. 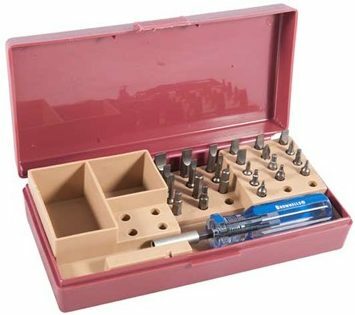 Purchase a good set of gunsmith bits and you’ll protect your fasteners and have tools that will last a lifetime. Another note, not all bits are made equal. In fact, gunsmithing bits are a good bit different than “normal” bits. Normal bits are cut in a fashion that while cheap, doesn’t allow the bit to completely seat. This can lead to improper torq, stripping of the screw, and damage to the firearm. 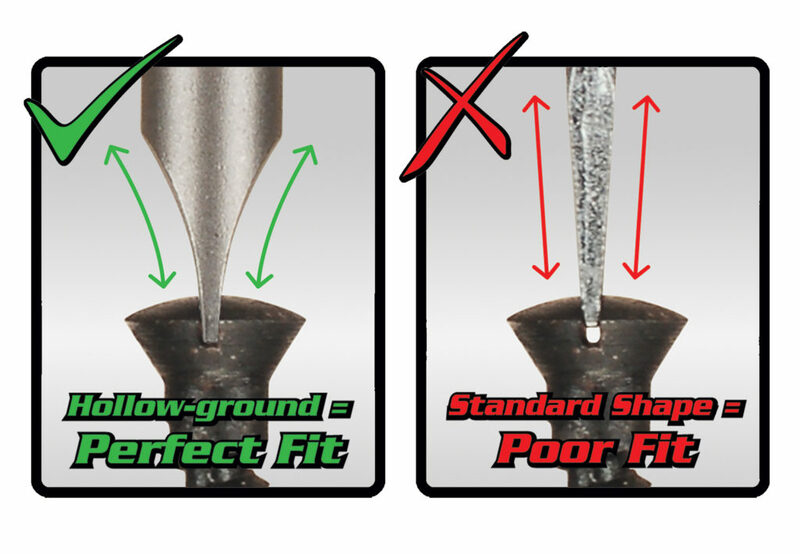 Gunsmithing bits are hollow-ground and allow the bit to seat properly, thus giving better torq, reduced wear, and far less chance of damage to the firearm. Proper screwdriver bits are a must when working on firearms. 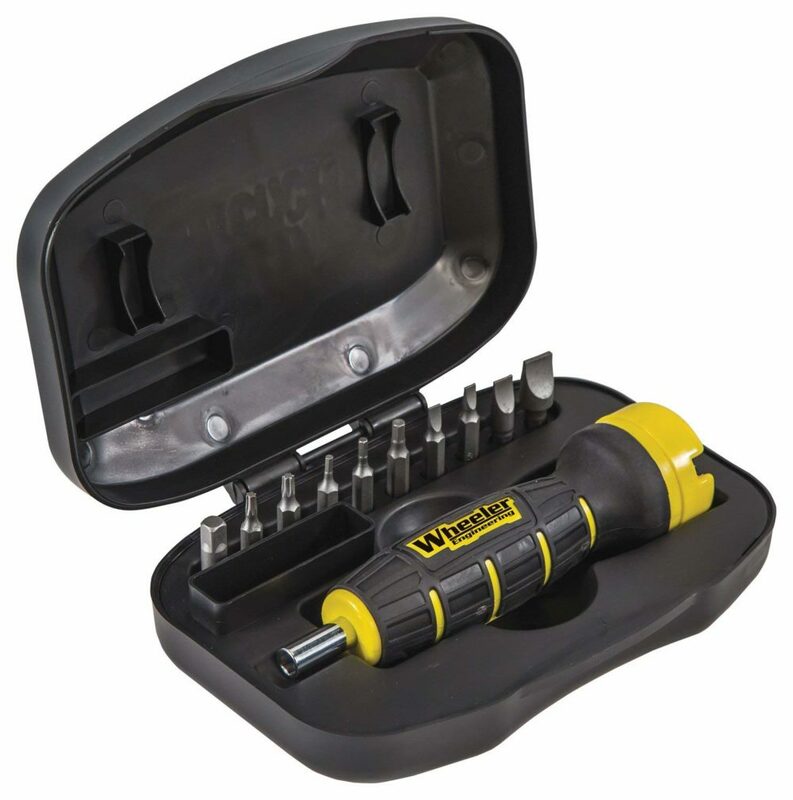 The Fat Wrench is a simple torque wrench that is quickly adjustable for your base screws, ring screws and action screws. Proper torque keeps everything tight and square and ensures you do not tweak something during the mounting process. 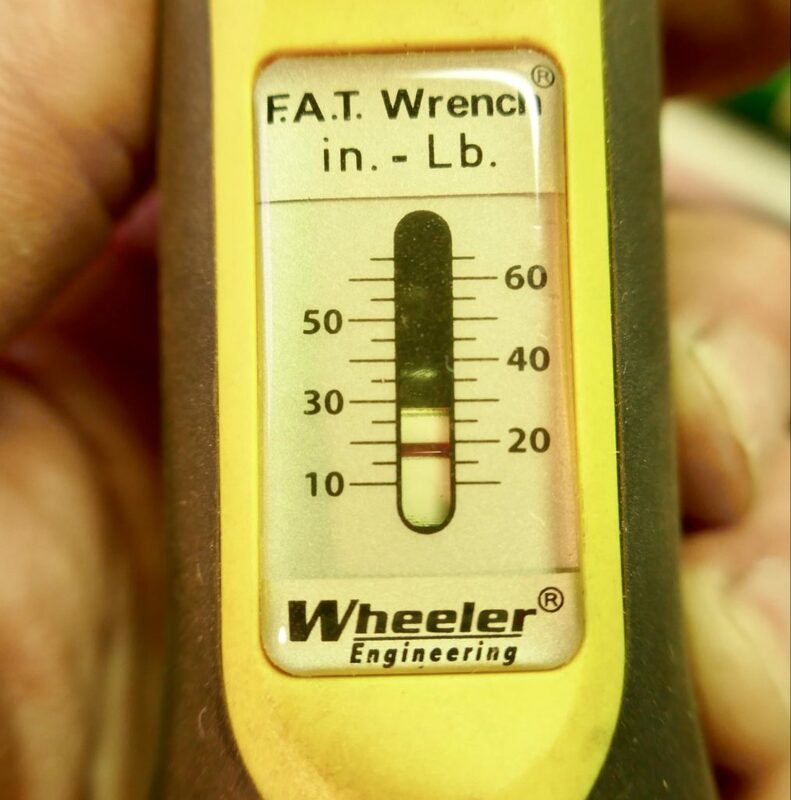 Wheeler also makes a digital FAT Wrench, this comes in really handy if you’re doing a lot of optics or if you’re mounting sensitive optics such as high-end precision long-range scopes. Get the BLUE, medium stuff. 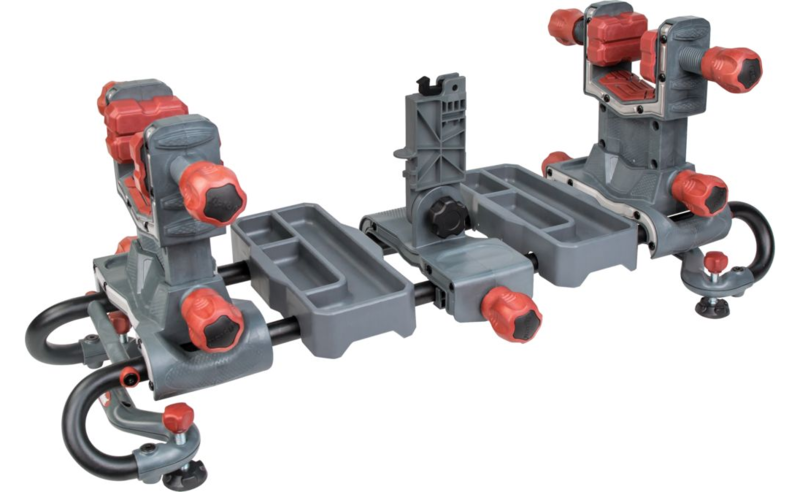 This will effectively keep your screws tight, but also allow you to remove the screws later so you can change mounts or optics. However, double check the owners manual for YOUR scope and rings. Some brands, such as Vortex Optics, recommends to not use Loctite since it can act as a lubricant and cause you to over torq your rings. 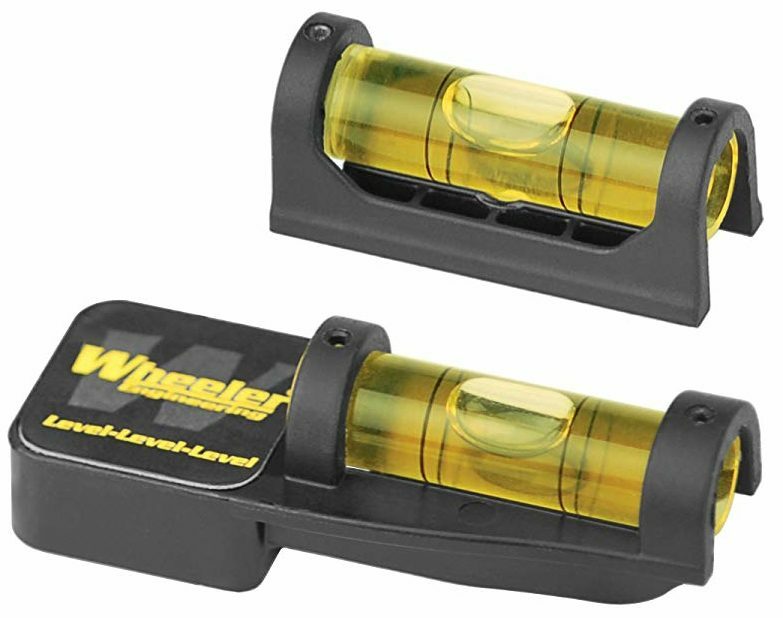 These are used to level the rifle and level the optic so your vertical and horizontal scope adjustments are perfectly in line with the bore of your rifle. Use this to clean the receiver or rail, bases, rings, and screws prior to mounting. You do not want oil in or on your scope mounting system. 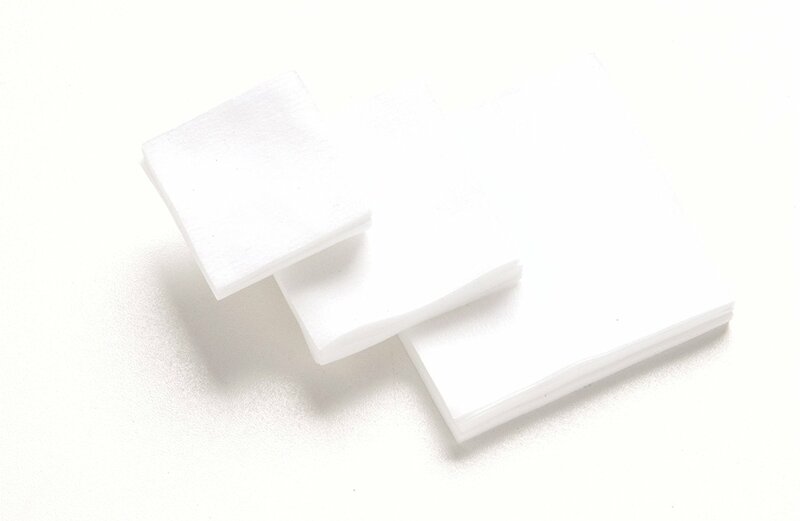 I use some 2 ½ inch square patches to clean my parts prior to mounting. 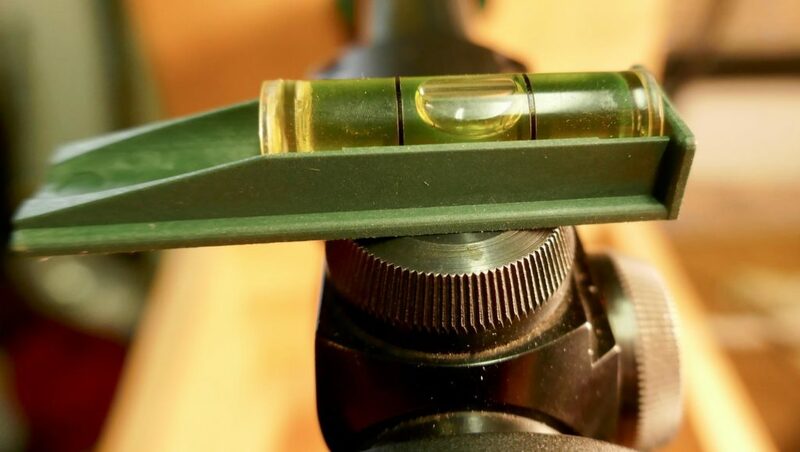 This can be used to help level the rifle with a bubble level and there is a quick way to check to see if the scope and rifle are square to each other. 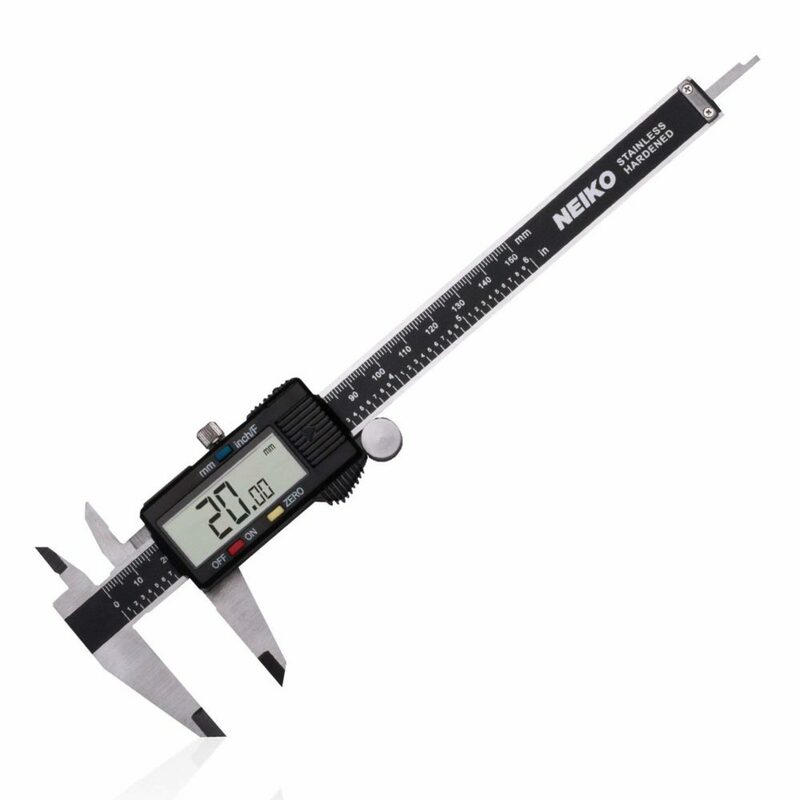 You can get a good old fashioned dial caliper like mine or you can get a digital version. A way to keep your rifle or upper secure as you work. Trust me when I say this is by far the tool that will make your life easiest. 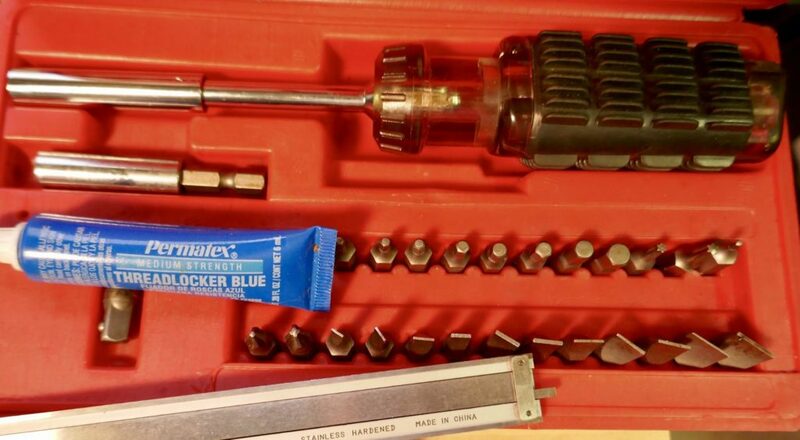 You can get away with a starter gun vice, but if you’re a trinkerer – get a skookum vice. For a starter vice, I would recommend the Tipton Best Gun Vice. It’s solid, built to last for the home gamer, and will allow you to work on almost any type of firearm and most bows and crossbows as well. However, if you’re really looking for a vice to last or if you work on your guns a lot – my favorite gun vice is the Tipton Ultra Gun Vice. Finally, you need your optic, your base, rings, and screws. For this project I’m working on a Savage Axis package gun I won at conservation organization fundraiser last year. The rifle has a round top receiver and came with Weaver style two-piece bases and rings. The scope is a simple Bushnell 3×9. First, lay out all your tools and parts and make sure you have everything you need handy. Lay it out, double check you have it all! Be sure the rifle is unloaded and no ammunition is in the work area. I remove the bolt and magazine whenever I work on my guns. Isn’t it odd how many times we hear about guns going off when folks are cleaning them or working on them? There is no excuse for not taking the time to make sure your work area is safe. 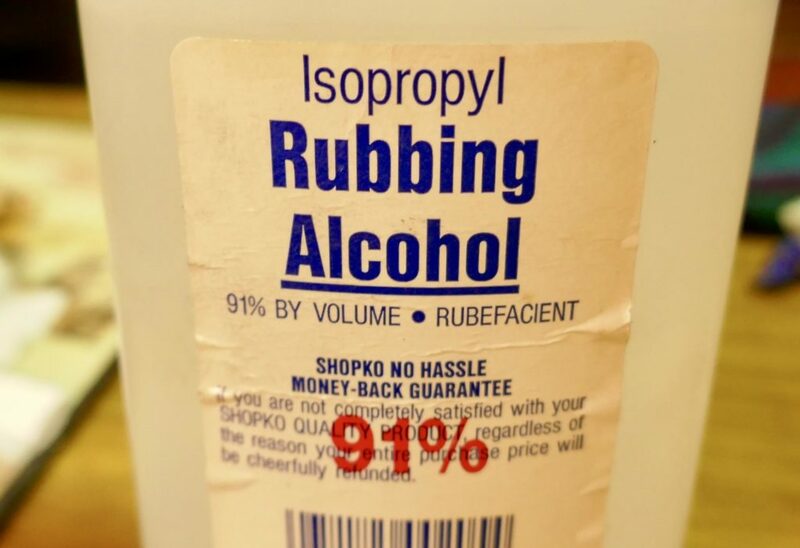 Next, dab a little rubbing alcohol on a cleaning patch and remove all the oil from the top of the receiver. Also clean the bottom of the bases, the screws, the rings and the screw holes in the rifle and the rings. Test fit your bases. Be sure the holes in the base match the holes in the rifle. Loosely screw on your bases. No Loctite in this step. Attach the lower rings to the bases. Pay special attention to the height of the rings in this step. In some cases, the rings are different heights. Follow the manufacturer instructions and get the correct ring in the correct position. Now, gently place your scope in the rings. How much room do you have between the rings and the turret? How much between the eyepiece and the objective bell? In my case, I need to turn the bases around to allow more adjustment of the scope in the rings. See why we do a dry run first? Now there is room between the rings and the objective and ocular bell. Once you are certain everything fits correctly you can start tightening things up step-by-step. Take all the parts off the rifle and start with your bases. Put just a drop of Loctite on the threads of each screw. Work with just one base at a time if two-piece. Snug up the screws using the proper driver bit. Now, take your Fat Wrench and adjust it to the specified torque for the base screws. Most base and ring sets will have a recommended torque for the screws. If you don’t find the info in the package jump online and do a search of the manufacturer of the mounting system. You will almost always find the info for the parts you have. If you have a problem finding the torque specs refer to the chart with your Fat Wrench. 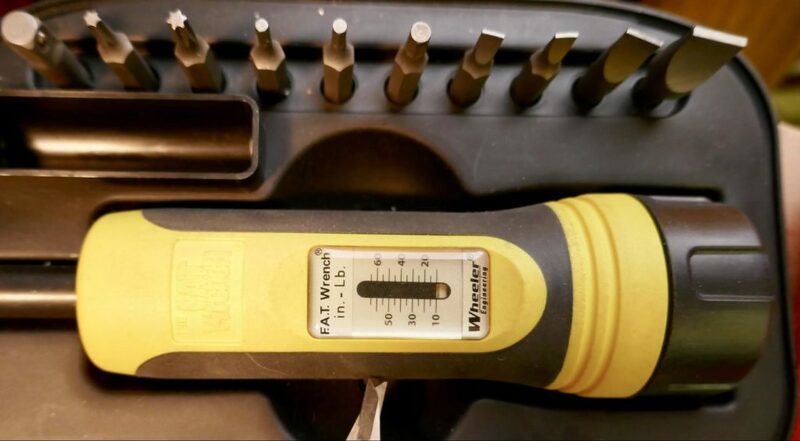 Use your dial calipers to measure the diameter of the screw and use the specs included with the wrench to set your torque. Next, fasten your bottom rings to the base. Follow the directions supplied with your rings. Again, a drop of Loctite on the threads of the attachment screws, snug up and torque to the specs provided. Now you are ready to set your scope in the bottom rings. Place the top rings over the scope and very lightly screw the rings down. Just enough to snug up the scope, but loose enough that you can turn the scope to level the reticle and move it back and forth to establish proper eye relief. You can use the two bubble levels for this step. Place one level on the action of the rifle. 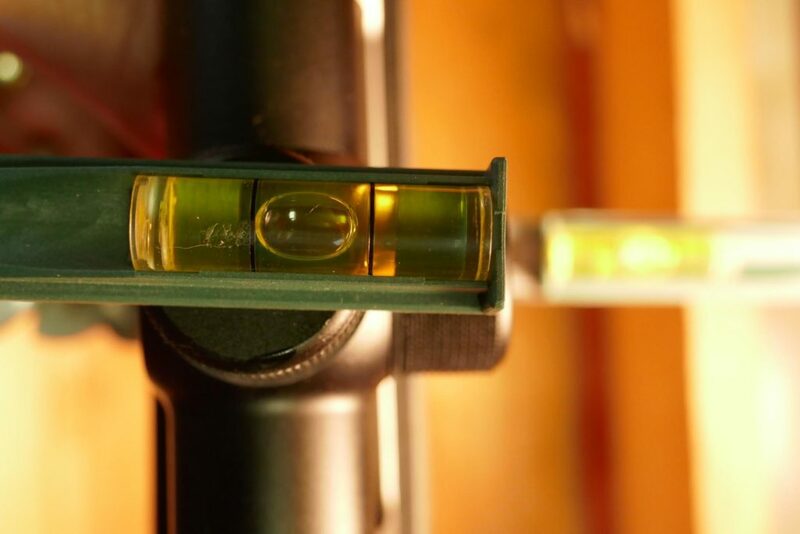 If you do not have a flat receiver or a rail you can insert the level in the action race to help level the rifle. 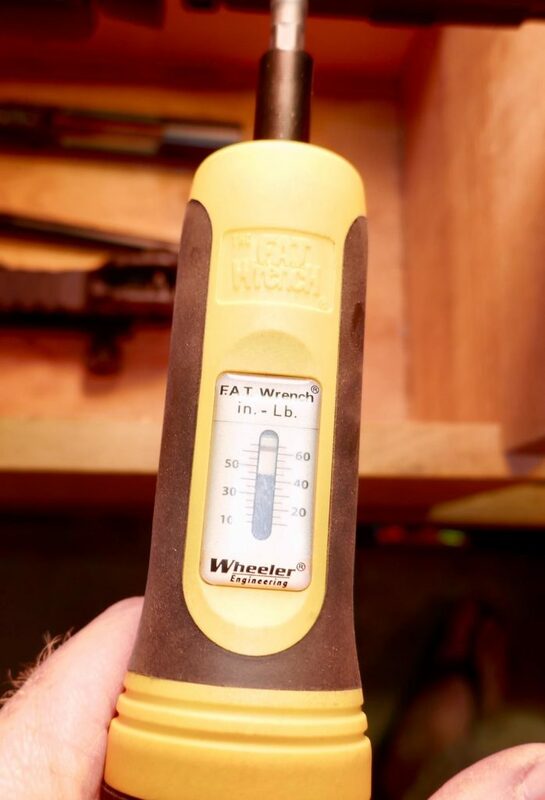 I used the rail of my calipers held tightly to the bottom of the magazine well and put my level on the caliper rail. I then placed my other level on the elevation dial on the scope. Once the rifle levels up, turn the scope in the rings to level it. Tighten the rings just a touch to hold the scope level. To ensure proper eye relief pick up the rifle and shoulder it as you would for an offhand shot, but close your eyes first. Get a good cheek weld and hold the rifle just as you would when shooting. Now, open your eyes. Do you have a full, clear view through the scope? Try closing your eyes, mounting, looking and checking several times. You should see a full view with no black edges or a clear circle smaller than the diameter of your scope. If you do, adjust by moving the scope back and forth until you have a full field of view. Now, check your levels again to be sure the reticle is still square to the gun. Once you are satisfied that your eye relief is proper and your scope is square to the rifle, Loctite the threads of the ring screws and start snugging them up and torquing them to spec. The next to last step is bore sighting your rifle. Bore sighting is simply ensuring that the centerline of the barrel is looking at the same place at distance as the scope. If everything is square and true you should be close. I generally bore sight at 50 yards. I find that 25 yards are often too close. Remember, your scope is likely about 1.5 inches higher than the bore and at 25 yards you will very likely not see the same target spot. Set up the rifle on a rest or sandbags and look through the bore and line it up with your chosen target. Now, look through the scope and see where your crosshair hits the target. By simply adjusting your elevation and windage turrets you can move the crosshair to the same spot the bore “sees”. Now let your Loctite cure overnight and head to the range! Using a cantilever mount like the Burris P.E.P.R. 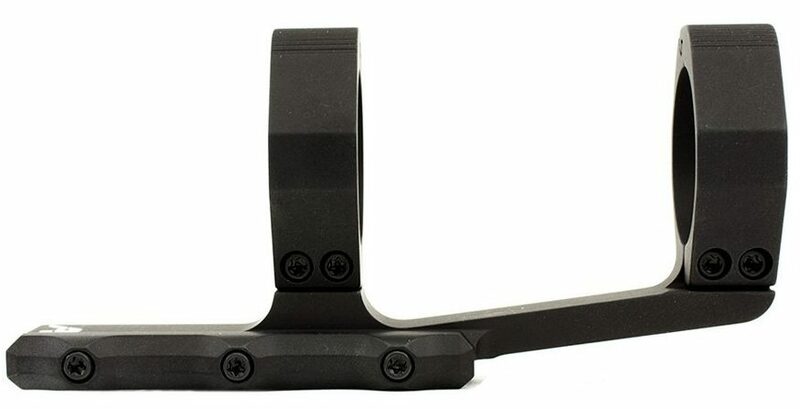 (Proper Eye Position Ready) makes mounting easy and allows you to swap from an optic to open sights or place the optic on another flat top receiver. Your own testing will reveal if the optic comes back to zero after being removed then reattached. Always torque the base screws to the same spec each time. Check out this tutorial on mounting the P.E.P.R. 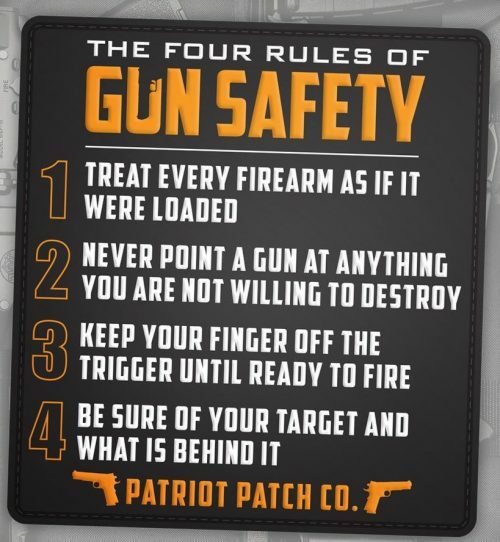 First, be sure the gun is unloaded and the magazine is removed. Remove the upper from the lower and remove the bolt carrier group and charging handle. Use the rubbing alcohol and some patches to clean the rail, mount, and screws removing all oil from the parts. Attach the mount to the rail and snug up the mounting bolts. On the P.E.P.R. you will need a ¼ inch drive, ½ inch socket for the mounting bolts. 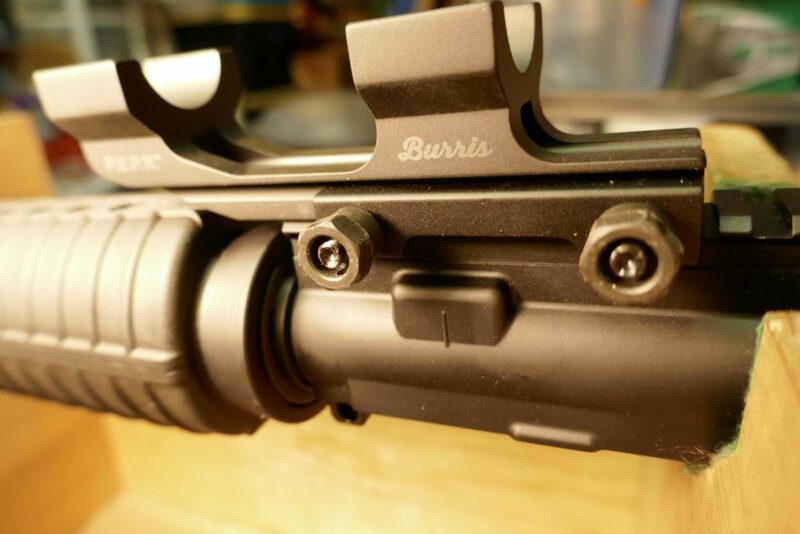 If you are not mounting a reflex sight or light or laser on top of the scope choose the smooth top rings to save some weight and prevent snagging on the rail sections. Set your scope in the bottom ring section. Place the top rings on and lightly snug up just the corner screws. Once again, get your bubble levels and place one on the rifle’s rail and the other on top of the scope elevation turret. Level the scope reticle to the rifle and snug the ring screws just a touch. Reattach the upper and lower, and again shoulder the rifle with eyes closed. Open your eyes and check for proper eye relief. You can move the scope fore and aft in the rings or just move the entire mount on the rail until you find the correct mounting position. 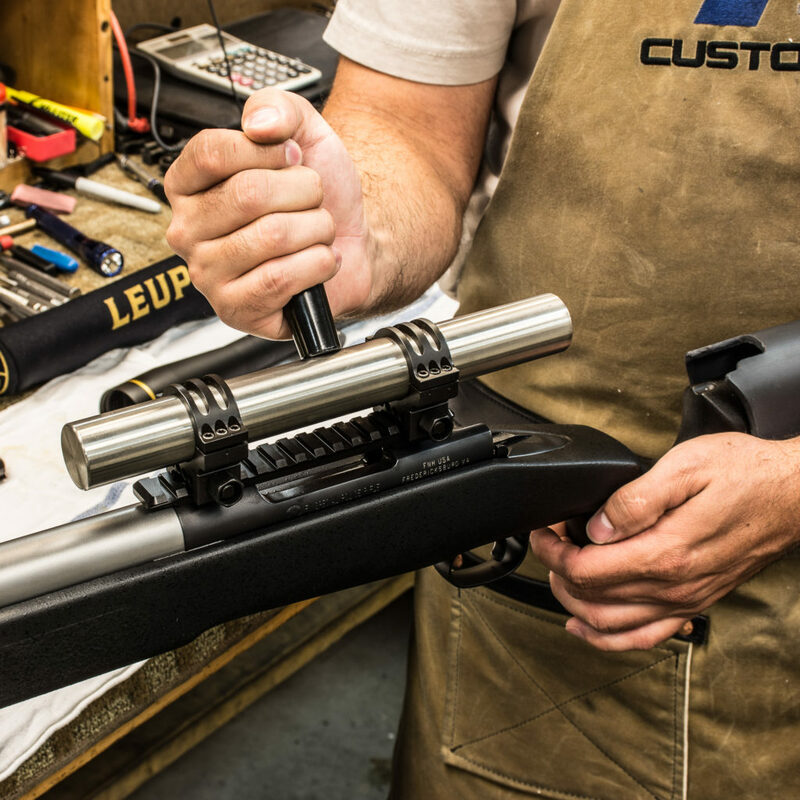 Be sure to use the same length of pull on the stock as you normally would shoot if you have an adjustable buttstock. Once you have established the proper eye relief recheck the level of the reticle to the rifle. Now, loosen one base screw and apply Loctite. 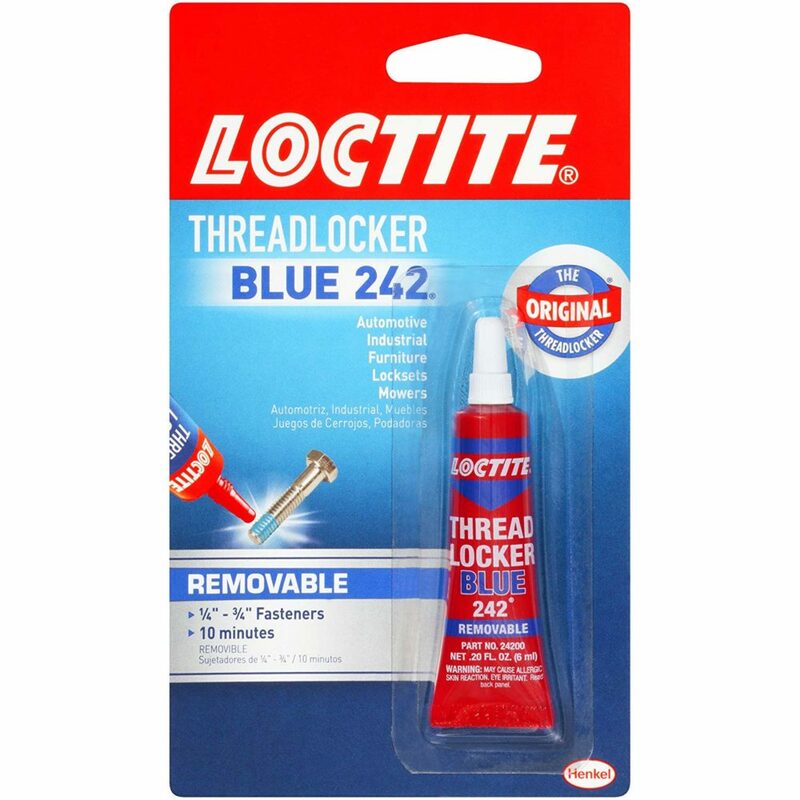 Snug it up, loosen the other screw, apply Loctite, snug it up. Now torque to the supplied specs. In this case 65-inch/pounds. With this mount, you have six screws in each ring. With the four corner screws snugged to hold the scope, apply Loctite to the two remaining screws and torque them down on each ring. This will hold the scope securely and you can now remove, apply Loctite and torque the rest of the screws in each ring. Use an alternating pattern to tighten the ring screws. Remove the upper and lower halves again. Place the upper on a rest and go through the bore sighting process described above. Install your bolt carrier group and charging handle in the upper receiver, reattach the upper and lower and head to the range! Want another more lightweight option? We love our Aero Ultralight Mounts. 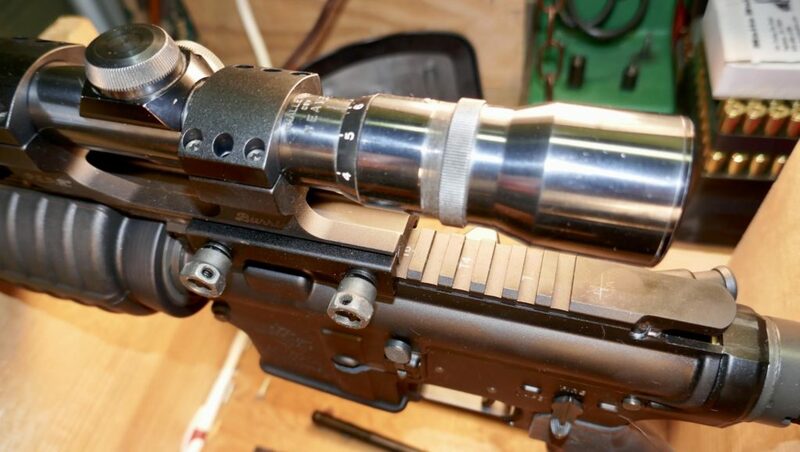 If you took your rifle to a gunsmith to have your scope mounted, they would likely lap your scope rings. But what is lapping? Basically, it’s sanding down the inside of the rings to even them out and give the best surface to surface interface between the scope and the rings as possible. So, you might be wondering, why isn’t this step included here? Simply – while the process isn’t hard, it is very easy to do wrong and ruin your rings. It is also completely unnecessary from a practical standpoint for normal field conditions. If you want to set your rifle up for precision long-range shooting, then it is an important step that shouldn’t be ignored. When I say “long-range” I define that as over 600-yards. For anything under that, there will be a fairly inconsequential gain to lapping the scope rings. But don’t worry – we’ll cover lapping of scope rings in another article soon! Eye relief is the optimal distance from your eye to the rear lens on the scope. This distance allows you to see the full view the scope has to offer and places your eye and face far enough away so you do not get hit with the scope during recoil. Take your time getting the scope reticle and rifle as level to each other as you can. If the reticle looks “off” when you shoulder the rifle have someone place a level on the gun. Chances are you are canting the rifle. Meaning it is tilted to the side. Often where it feels most comfortable is not necessarily level. When shooting at long range this can make a difference as the scope elevation is dialed up. 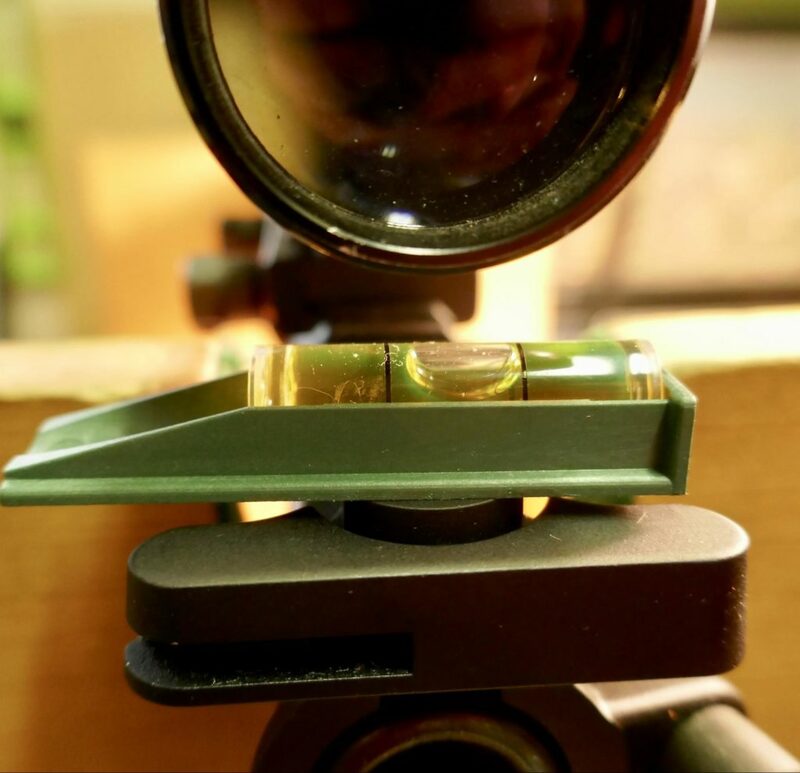 If not level your scope is not moving exactly in concert with the centerline of your bore. When zeroing a newly mounted scope, start at 25 yards. If you are on the target, most of the time you will be on at 100 yards. Do your fine tuning at 100 yards, then begin stepping out and ringing the steel at longer ranges! Still looking for the perfect scope? The Pew Pew Tactical Choosing a Rifle Scope Guide can help! Good luck with your newly mounted scope! What scope did you mount? What rings? Share your scope mounting tips and success down in the comments! 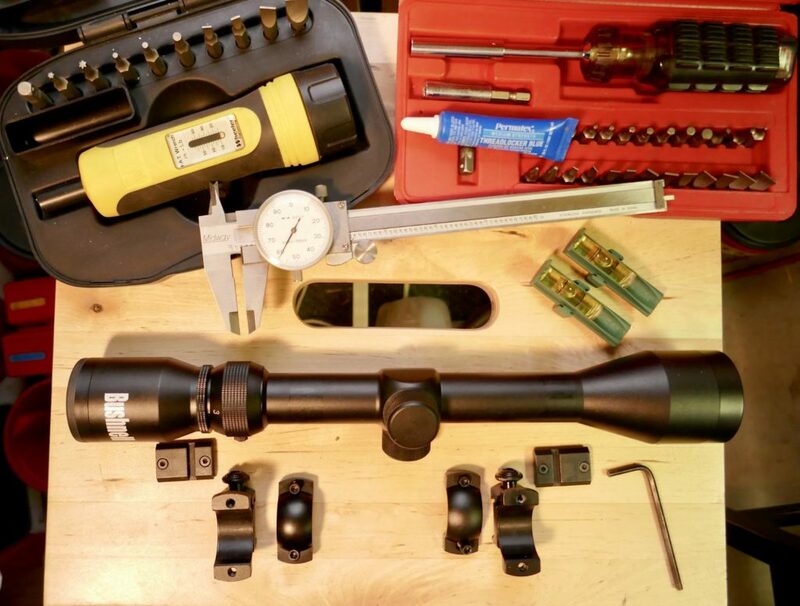 The post How to Mount a Scope (And Not Screw It Up) appeared first on Pew Pew Tactical. How to Paint Your AR-15: Skip the Camo Krylon!